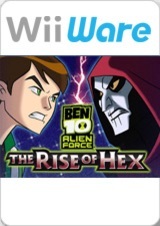 Ben 10 Alien Force: The Rise of Hex is the fourth game in the Ben 10 video game series, the third game to be based on the Ben 10: Alien Force series, and the first downloadable game based on the series. There are corruptions in the in-game and main menu texts. To fix, change the 'Texture Cache Accuracy' setting to 'Safe'. Refer issue 10705. The graph below charts the compatibility with Ben 10 Alien Force: The Rise of Hex since Dolphin's 2.0 release, listing revisions only where a compatibility change occurred. This page was last edited on 8 January 2018, at 09:40.